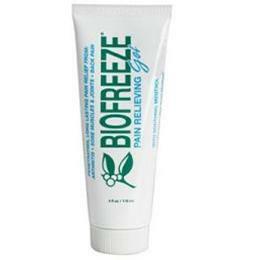 Biofreeze Pain Relieving Gel applied from a tube or pump bottle affords the doctor the opportunity to create a thorough application by massaging a broad area during application. This hands on application also reinforces patient touch which has been shown to be a focal element of hands-on care. If the Health Care Professional is working a joint area pain reduction can help allow for working with ROM movement.